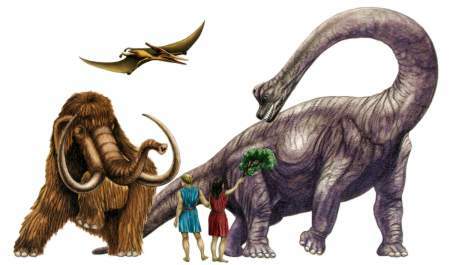 Answering Common Young Earth Creationist Arguments | J.W. Wartick -"Always Have a Reason"
Please see the end of the post for a response to an article linking back to this one. Some young earth creationists (hereafter YEC or YECs) argue that old earth positions undermine the perspicuity of Scripture. Perspicuity of Scripture is the notion that the central teachings of Scripture can be understood by any who come to the Gospel. The charge YECs make is that because it seems, on a surface level reading of the text, that Genesis 1 implies creation over the period of 6 literal 24 hour days, those who deny this undermine the Perspicuity/Clarity of Scripture. The Perspicuity of Scripture does not apply to all areas of Biblical doctrine. Rather, it is the notion that anyone can understand the plan of salvation as laid out in Scripture and come to right knowledge for faith. Think of it this way: read the book of Revelation. Do you understand everything in this book, or is the apocalyptic literature hard to discern? Throughout much of Christian history, there has been debate over the meaning of Revelation. There are a number of views, like preterism, idealism, dispensationalism, etc. But this doesn’t mean that what Scripture teaches in general is unclear. The clarity of Scripture in regards to salvific issues is absolute. Any reader can read and understand God’s plan for salvation. If the argument is pressed, again ask the YEC whether they are claiming they understand every single doctrine that the Bible teaches. Do you understand perfectly the Trinity, the atonement, the incarnation, the Lord’s Supper, the proper relation of Law and Gospel, etc.? If someone claims they do, they are essentially equating their understanding to God, rather than adhering to Scriptural teaching (1 Corinthians 13:12). The Hebrew word used in Genesis one, yom, means day. It literally means a 24 hour period. Actually, the Hebrew word yom has several different literal meanings. For example, according to Brown-Driver-Briggs’ Hebrew Lexicon, yom can mean “day, time, or year”; day as opposed to night; a 24 hour day; a time or period of time; a year; an age. Thus, if someone reads the text and argues that in Genesis 1 the days mean “ages”, they are still reading the text literally. When the Genesis 1 text refers to the days, it applies the terms “evening and morning” to each one of days 1-6, which means that each day is indeed a 24 hour period. That’s what evening and morning means. The repetition of evening and morning is an indication of the metaphor for the work week used throughout Genesis 1. Notice that evening and morning are reversed from the order in which they occur in a 24 hour day. Sure, there are other literal meanings of “yom” and in poetic literature it says that a day is like a thousand years for the LORD, but Genesis is a narrative and so the days mean literal 24 hour periods. Many of the verses that old earth proponents use are from places like the Psalms. For example, the verse about a day being like a thousand years is from Psalm 90:4. These verses are poetry and therefore not relevant to the actual age of the earth. Poetic literature still makes truth claims. Are you suggesting that nothing in the Psalms is true? To dismiss a text that is brought up in order to counter your position by saying “that’s just poetry” is tantamount to throwing God’s word out the window. One might wonder why it is that the YEC interpretation of Genesis 1 trumps every other passage in the Bible. Sure, some scientific evidence may make it seem as though the earth is old, but it is not actually old. Instead, God made it in such a way that it would support life, and in order to do so, it had to look old. He created light already on its way to earth and the Flood explains sedimentation. Nature tells us about reality, though we cannot infallibly search it (Psalm 19); God does not lie; therefore, God would not make something which by all appearances would look old, but is not in fact old. But Adam looked old. He was created about 30 years [or some adult age] old! Similarly, the plants in the garden, etc. would have looked old, but been new. The text doesn’t actually say how old Adam was when he was created. But that’s a side issue. More importantly, we would be able to tell how old Adam was by looking at evidences like his teeth, his bones, and the like. All of these would show signs of age. Regarding the plants, this argument really just begs the question for YEC. As it is written, “And the LORD God planted a garden in Eden, in the east, and there he put the man whom he had formed. And out of the ground the LORD God made to spring up every tree that is pleasant to the sight and good for food…” (Genesis 2:8-9a). The text clearly says that God planted a garden. While it says that God made plants spring up, it is prefaced by the notion of planting. The notion of planting implies growth over time. And suppose this is wrong; suppose the plants were grown instantly: we’d still be able to test them and see how old they actually were by looking at things like cell division and tree rings. Strictly speaking this argument is actually completely false. Naturalism is the philosophical position that only the natural world exists. The debates in which this argument is often brought up are very often between Christians of opposing views. Therefore, because they are both Christians, neither one is operating under the presupposition of naturalism. The YEC may press this objection, however, and say what they mean is that one is presupposing a naturalistic methodology as opposed to the entire worldview. 1) If you mean assuming “uniformitarianism”: see the argument and response below. 2) If by “naturalistic methodology” you mean something else, show how that is the case. The only way to come up with an old earth is by assuming that everything has been uniform forever; in other words, the processes in place now are operating at the same speed they always have. Let’s apply this argument to one field: geology. Geology does come up with ages around 4.5 billion years old for the age of the earth. Now, the problem is that this is not due to uniformitarianism. Rather, geologists must take into account the fact that catastrophes do happen. For example, a huge meteor hitting the earth would change the geological landscape. Modern geology is neither catastrophist nor uniformitarian; rather, it must take both into account. And it still comes up with an “ancient” earth. The problem is that YECs go to the opposite extreme and actually assume that a catastrophe (or numerous catastrophes) can account for all geologic evidence. By citing specific examples of catastrophism, they then apply a catastrophic geology to the rest of the earth. It’s exactly the methodology YECs critique, but then they do it themselves. This is simply naive. Furthermore, the burden of proof here is upon the YEC to show that the rates could increase at such a monumental rate on such a monumental scale that everything we observe that looks ancient is, in fact, ‘young.’ They must make the argument. You’re just starting with man’s fallible ideas. I just use the text for my guide. See “Look, it’s what the Bible says” and “Man’s Fallible Ideas” sections below. I just read the Bible and agree with it. It says days, I say days; it gives genealogies, I add them together. All I do is take Genesis literally. You use man’s fallible ideas to distort the text. Furthermore, the genealogies are incomplete. It can be demonstrated that a number of genealogies in the Bible skip people or operate in an inexact fashion. By assuming the genealogies are linear, one has read anachronistically a 21st century notion of a genealogy back onto the text. That would be one of man’s fallible ideas. Furthermore, the notion of an old earth proponent importing ‘man’s fallible ideas’ into the text can be equally applied to YEC. Who says that YECs are infallible? Would you claim you read the Bible perfectly and discern everything correctly? You weren’t there at creation. Neither were these “scientists” you cite in your “evidence.” How do you know what happened? You weren’t there either, my friend. However, when we look at the stars, we are looking at the past. Furthermore, we can measure things like cosmic background radiation, sedimentation rates, volcanic activity, and the like in order to discern how old the earth is. Again, God tells us that nature gives us a record (Psalm 19), so one wonders why we are being told to doubt that record. First, it seems very often that when YECs use the phrase “very good” what they mean is “perfect” in their own eyes. Why think that animal death is necessarily bad? If animals didn’t die, ecosystems would collapse: all the plant-eaters would starve, insects would take over and eat all plant life, and any number of other “bad” things would happen. Animal death is part of a beautiful system of maintaining order in the world. Using the cancer example to try to argue that it couldn’t be “very good” is importing human emotions into creatures which are not moral agents. Simply put, an animal is not a moral agent. This doesn’t mean it is good to kill them, but it isn’t bad either. The harm comes when a moral agent intentionally brings unnecessary harm to an animal. I would like to see an argument for what “very good” means to YECs. Why should it mean absolute perfection? Finally, one must wonder about the fact that God planted the garden in Eden and it is that creation which is “very good”. God planted this Garden, and it was the localized area in which Adam and Eve were placed. That’s what the text says. Nowhere does it say the whole earth was like the Garden. Unfortunately, this very type of argument is used to discredit many fellow Christians. Rather than focusing on the issues at hand, it is indeed easier to just bash the opposition. For the record, I am not a theistic evolutionist. The point is that others who hold views similar to my own suffer from arguments like this against them. It’s dishonest. The most unfortunate thing to take from this type of argument is that the average Christian on the street is very affected by it. Recently, I recommended an article from an extremely prominent Christian philosopher to another Christian. Their response was that if this other believer thought evolution might be true, they were too biased and they would not read the article. That’s right, the effect of this type of argument is that it brings about a situation in which people won’t even read what other believers have to say about a topic. One must wonder, at least a little bit, about a position which discourages adherents to read the works of the opposition. Why not read and consider other viewpoints and take what is true? I just read the text for what it says. You have to do all kinds of things to interpret it. Why do you twist the text to fit your views? Actually, YEC is also an interpretation of the Biblical text. It is an inference from the textual data. You are also interpreting the text, and need to justify your hermeneutic. 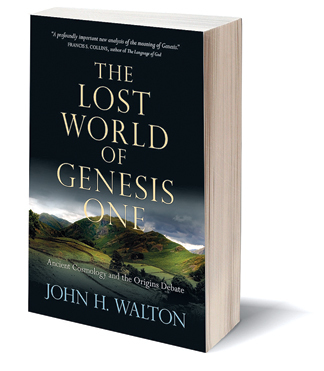 Given the mounting evidence against it in books like The Lost World of Genesis One by John Walton, the evidence in your interpretation’s favor needs to be pretty hefty. Old earth proponents may have a viable exegetical position, but why on earth would they pick old earth over young earth? It seems the only reason is because they are caving in to science. Science can give us a record of reality. When the church lines itself up with views that do not accord with reality, it is discredited. Consider the controversy over heliocentrism vs. geocentrism. This controversy resulted because the church lined itself up with a philosophical position that it thought was taught by the text of the Bible. Similarly, the young earth position is an interpretation of Scripture and its advocates must contend with the scientific evidence. 1) The Bible says the earth is not millions or billions of years. Why do you insist on changing God’s word for man’s fallible ideas? 2)The Biblical text entails a young earth. Why do you read it as a long period of time? 1) Where in the Bible does it say “the earth is not millions or billions of years old”? Where in the Bible does it tell me the date of creation? 2) Please show me: where in the Bible does it tell me the date of creation? Where does in the Bible does it specifically say YEC is true? If you can’t, then you’re using an inference. See “Plain and Obvious Meaning” above. But, to be honest, this argument just amounts to a subtle ad hominem, even if the one using the argument doesn’t realize it. Why? Because it suggests that the other side is a) wrong; and b) not thinking Biblically. A better response, therefore, would be to simply point out that the YEC position is also interpreting the text and that old earth proponents are looking at the whole body of evidence God has provided instead of just trusting what others tell them about the text. Thanks for your thoughtful response. I have a few comments, but I won’t be too lengthy because I don’t have time. The title of the post is “answering common YEC arguments.” I think that pretty much makes my intention clear. The stated purpose is that I’m not arguing specifically against the YEC position, which I don’t. I only answer many arguments. It’s a bit disingenuous to claim I’m doing otherwise. No historic truths in the Psalms, eh? I guess the Psalms by David when he was fleeing from his enemies don’t tell us anything about his situation? I would like to see an argument for this claim. I was once YEC and unfortunately used this argument myself, because almost every other YEC I knew used it as well. Thus, it’s an argument used by YECs, and I answered it. I agree, though: stop it! But wait, the quote is actually: “the genealogies are incomplete” which we can demonstrate from the Bible. It’s not that they are inaccurate; it is that the modern notion of a genealogy stating one generation after another with no gaps is just that: a modern notion. I never stated the Bible is inaccurate, nor do I state it is flawed. I have been a staunch defender of inerrancy. Your statement here is extremely ad hominem; it is, in fact, so wrong and unsubstantiated by my blog that if I weren’t giving you the benefit of the doubt I’d think you’re just lying about me. I therefore ask you to retract it. 5) regarding dating methods: I hate to say it but anyone who reads non-YEC literature on this topic will not be convinced by these arguments. Yes, there are aberrations in the dating which are not covered up by secular or other scientists whatsoever: they state them in their works; no, they do not undermine the whole system. Here is a list of resources for old earth perspectives. I will annotate it at some point. For now it’s just a list of amazon links. Actually, you have presented a very good, balanced summary of the common YEC arguments and appropriate responses. Well done!! Wartick did a good job on this one. It seems that more and more Christians are coming out as not YEC. This is nothing more than rehashed OEC arguments that reveal a penchant for presenting an inconsistent hermeneutical approach to scripture. You stated as one of your appeals “if someone reads the text and argues that in Genesis 1 the days mean “ages”, they are still reading the text literally.” Such a statement is only partially true. One can read John 11:35 (Jesus wept) literally yet have no idea why he wept or what the word wept might mean in that context. You appeal to the fact yom is used differently in different places in scripture. Of course it is! Yet you fail to represent a foundational principle of biblical exegesis and that is context determines interpretation. The day of the Lord is of course different than a specific 24 hour period of time. How does one determine that? By reading a passage “literally?” Yes and no. A literal reading is determined once again by context. This is no different than simple first grade level English comprehension. There will be a day is different than this day or referring to a specific day meaning an actual 24 hour period of time. Genesis 1 uses a number of methods to demonstrate day is day. You have evening/morning which is the beginning and end of a day in the Hebrew culture. You have a number associated with each day and then you have the word yom on top of that. I would hope Biola University is not teaching hermeneutics based on the idea that a word can mean whatever one wants simply because that word is used differently in various contexts throughout scripture. If they are, that is indeed sad. Scripture is indeed clear on the topic of origins. Appealing to difficult genre such as Revelation as a means to try and state Genesis 1 is not clear about what it reveals to believers, let alone the number of other passages and principles grounded in the foundation of a literal 7 day creation week is argumentative at best and is a poor comparison. This is not an issue of salvation but rather an issue of recognizing the clarity and authority of scripture. Amalgamating evolutionary concepts into the pages of scripture is not a pursuit that should be undertaken as it indeed does undermine the message of God’s word. Exactly. The YEC position fails to take into account the ANE context of the Genesis 1 cosmology. Your entire argument is based upon your interpretation of the text. You appeal to a different hermeneutical approach. What is it? All you do is argue exegetically, but you never actually point out where my hermeneutic is flawed. The YEC position fails to take into account the ANE context of the text. They overlay 21st century science problems onto a text which is not intended as an exposition of science. In other words, YECs hold that the Genesis 1 text presents a scientific understanding of the age of the world (how? by inference from genealogies? I already answered that objection), yet YECs also appeal to the changing nature of science when they denigrate OEC. Which is it? I can’t help but think that the YEC position is entirely anachronistic. You read back onto the text an anti-evolutionary context which simply isn’t supported. Neither is evolution supported. It isn’t addressing those questions. Is it also reasonable to compare the Genesis creation account with Revelation since we know it is also revelation? Perhaps another part of its context is that it is one of few Scripture passages that could have no human contribution (Job 38:4). The fact that the account doesn’t explicitly state such doesn’t excuse us from acknowledging it, any more than Nicodemus or the disciples were excused by Jesus (Matt. 16:5-12, John 3:10-11). Let me state from the start that I’m no YEC proponent, but I think you might want to rethink your hermeneutic for understanding Genesis 1 from your comment here. Not so much because of what it does in the OEC/YEC discussions, but what it will do overall to how you view Scripture and particularly in discussion on the historicity of Adam. Let me explain briefly (if I can). Genesis 1 doesn’t come to us as an ANE text complete with an ANE worldview. It comes as the introduction to the Pentateuch, and that as the foundation of the First Testament. The canonical message of the text as a whole is what the early church built their lives upon. As Christians, it is first and foremost one book from Genesis-Malachi. Thus, in seeking to understand God’s message in the text, what Isaiah says about Genesis is just as important as what Genesis says on it’s own. The only way that we can understand the intention of the author is through the words on a page. We have no access to their worldview, mindset, personal motivations, etc. apart from what they put on paper. We have no idea what Moses was thinking as he wrote Genesis 1, as God does not offer it to us. On a larger scale, we have no access to an ANE worldview. We can piece together tablets and fragments spanning some 2000 years from various locations over a couple hundred miles and say that together these give us a general idea of an ANE worldview, but even then it’s foggy at best. Even then, it’s only a 21st century reconstruction of such a worldview. It seems foolish to me to interpret Scripture in light of such a construct. A better question is what can we learn from the text when we read the words synchronically or canonically? A good primer for Genesis 1 on this topic is John Sailhamer’s Genesis Unbound. He is no YEC, and has been widely criticized by YEC proponents, largely for taking the Hebrew meanings of the words from their literary contexts so seriously. I think that you’re using a very narrow, and even borderline postmodern understanding of worldview. We can indeed discover things about the worldview of the ANE. Consider the fact that we have numerous cosmologies, many of which contain 7-day sequences. It seems that we can therefore know that the 7-day sequence was part of the way they showed completion in creation. I would like to see an argument for why we cannot come to such conclusions about the inaccessibility of worldviews. I can’t help but think it shows a very anachronistic understanding of history. Let me attempt to respond to what you have said. Actually, it’s something of a premodern perspective (see Steinmetz’s “Superiority of Pre-Critical Exegesis”), but postmodernism does salvage some aspects that modernism overlooked. Honestly, it’s simply the standard evangelical perspective pre-1900, which was revived under canonical theology in the 1950s and also the traditional rabbinic perspective. You focus on the words on the page, because that’s all we have. Thus, linguistic arguments trump discussions of vaguely reconstructed ANE cosmologies. I hold that worldviews are all encompassing, and that whereas we can clearly understand a biblical worldview based on the divinely inspired words of Scripture, we have no idea what Moses’s worldview was apart from the words recorded in the Bible. Furthermore, we cannot sufficiently construct an ANE cosmology, especially to the point of analyzing Scripture through its lens. I’ve read the relevant texts (most in their original languages), and think the differences are much more radical than the similarities. Even if we merge them into a 21st century construct of a broad ANE perspective (http://www.jongarvey.co.uk/images/OTcosmos.jpg), we still have no idea whether or not Moses had such a construct in mind when writing these words. All we have are words. Thus, we search for the author’s verbal meaning through his words. If we believe, as evangelicals have always believed, that there is a Divine Author with a narrative strategy weaved throughout the entire Bible, then we have to allow that the canonical message of the text is greater than any sectioned out part in abstract. 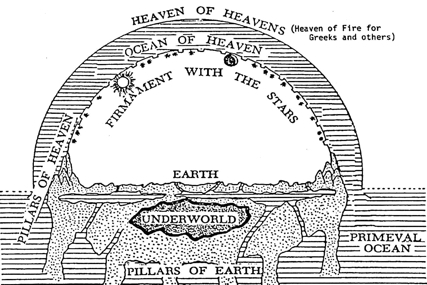 Thus, the interpretations of later biblical writers on the Creation narrative shape our understanding more than contemporary (if we could even call it such) cosmologies from other cultures. If you are serious about a more in depth study of hermeneutics (which I’m sure you will get in seminary…at least it was required at Southwestern for my first masters), then you will see this worked out more clearly as it’s probably the standard conservative view, and especially amongst those interested in canonical theology. Again, I really don’t accept this rejection of the possibility of considering worldviews when reading a text. Are we to assume we can’t try to get at the author’s intent in a text? If so, then to argue for different genres in the Bible is impossible, for all we have are words. We can’t know whether the author meant Psalms about rivers clapping their hands literally or figuratively: we only have words. Again, I see no argument here, only assertions. And frankly, I’m totally unconvinced. If all we can know are the words, we must throw out genres, we must throw out any notion of finding the meaning of the text [after all, we can’t find the original meaning! we may as well just make our own up from the words on the page], etc. I find this view to be not conservative, but radically liberal. It seems to me it would allow for any reading you want. We aren’t in an argument here, so cut the rhetoric and let’s just chat, okay? Actually, many evangelical scholars (conservative and liberal) would say that we cannot know the author’s intention, but claim that since God didn’t inspire the author’s intention that it doesn’t really matter. Nor did God inspire the author’s worldview (and we are all thankful for that!). I think the author’s meaning is what the words mean. Our only access to the intention is through the meaning of the words in their canonical context. As evangelicals, we confess that the events of Scripture are historical, but God did not inspire the events, nor scholarly reconstructions of said events, but he inspired his interpretation of the events recorded in Scripture. Furthermore, we have no way of knowing what Moses, Paul or anyone else “thought” about what they were writing, but God didn’t inspire their thoughts, or even their intentions. Instead, he inspired their words. 1. All Scripture is inspired by God. 2. Historical reconstructions, perspectives, archaeology, etc. are not. 3. Therefore, inner biblical exegesis, which is inspired, has more value than external data for interpreting a text. 4. Thus, linguistic (and theological) arguments are primary. Let me explain what this looks like in practice with Gen 1. If I want to understand bereshiyt, the first phrase, then the typical response from YEC and OEC is to read an external reconstruction back into the text. So, science says the universe is 13.7 billion years old and this must be talking about that…but they skip the more important part of trying to figure out what the words mean canonically. Where else is this word used? How does the rest of Scripture look back on this phrase. Immediately, you notice that it’s referring to an indefinite period of time that starts off an ordered period of time. It doesn’t have to be the very beginning point either. For instance, Job 8:7 simply means the first part of Job’s life. Often, with the kings, “the beginning” of their reign may be a few years into it, or even the halfway point chronologically. Canonically, the phrase means that God created at an indefinite time in the past, which began an ordered set of time (the week). What did God do? He created (bara). This verb is used here, in regards to the first living creatures and in regards to humans. It is also used in the summary statements. This is the creation out of nothing verb (before anyone says anything, yes I have read Walton and discussed the issues with him personally…but myself and almost every other OT scholar currently disagrees with him on his understanding of bara). But the rest of the chapter uses a different verb (‘asah), which is a verb used for fashioning things out of pre-existing material. It refers to assigning function to things. Thus, God “made” the two lights in giving them the purpose of setting apart seasons for festivals and the like. Were they already there? Yeah, probably…at least if God created them in the beginning. What did God create? The sky and the land (the heavens and the earth for you KJV types). This is a Hebrew merism, where two opposites are used to stress everything in between. There are lots of other examples, but this one seems to emphasize all we can see. At some indefinite point in the beginning, God created, out of nothing, the sky, the land and all we see in between. That is what the Hebrew is saying if read in light of inner biblical witness, before we bring in ANE perspectives, modern science or YEC reconstructed science. And that is just the first verse (for which much more could be said). If we are in agreement that God inspired the words of Scripture, and not our reconstrutions, then we have a lot of work to do in understanding what the words mean in light of other words in Scripture before we even get to the task of seeing whose science it best matches up with…but we do get there, just slower. Let me give an example. Thus, based on bara there are three big creation events…the sky/land (universe), the first life and the “man and woman.” That would place me in the ID camp currently, with special creations at the origin of our universr, the first life and a special creation of Adam/Eve as well, but this is for theological/linguistic reasons which trump external ones in my worldview. I hope that helps clarify what I am getting at, and how my critiques above work in practice. Thanks. By the way, I am a Southern Baptist, who studied at SBC schools, served in SBC churches before moving to Malaysia to do what we do. I proudly confess the 1689 LBCF and 2000 BF&M, so there isn’t a liberal, much less a radically liberal bone in me, haha. Thank you for clarifying your position so lucidly. I think that I am agreement with much of what you say here. However, I still do think that the ANE context is important to understand why/how the words were used as they were. I have little to disagree with in this comment. Michael, I’m curious. Genesis 2.1–3 reads, “Thus the heavens and the earth were finished, and all the host of them. And on the seventh day God finished his work that he had done, and he rested on the seventh day from all his work that he had done. So God blessed the seventh day and made it holy, because on it God rested from all his work that he had done in creation.” There’s no, “And there was evening and there was morning, the sixth day,” there. I’ve never understood how the OEC thinks this supports his case, though I know some prominent people in the debate rely on it (C. John Collins). C. Therefore, the days which mention evening and morning are not normal days. Could you or someone else fill in the blanks for me? You haven’t stated your position, but it’s reasonable to infer you take it to be some sort of argument in favor of the OEC position, correct? After all, you address the comment to a YEC but not an OEC. If I were being cheeky I could just say that however we understand it, we have yet to see any reason to understand it as supporting an OEC position. But I have provided another answer in part 2 of my response to JW on my blog. You can find it by clicking my name or at the pingback on the bottom of this page. I saw your link on Unbelievable’s Facebook page. So what I’d like to do is respond to your points one at a time and we’ll see how it goes if that’s alright with you. I saw that the Facebook link had several comments, but I didn’t bother to read them so I apologize if I’m repeating something that’s already been discussed. Your response rests on how you’ve defined the perspicuity of Scripture. But I think a YEC need not accept your framing of the issue and might even have good reason to reject it. Wayne Grudem (an OEC) says the following in regards to the definition of the doctrine of the clarity (perspicuity) of Scripture: “Although theologians have sometimes defined the clarity of Scripture more narrowly (by saying, for example, only that Scripture is clear in teaching the way of salvation), the many texts cited above apply to many different aspects of biblical teaching and do not seem to support any such limitation on the areas to which Scripture can be said to speak clearly” (Systematic Theology, 108). Gregg Allison indicates in his “Historical Theology” that it wasn’t until the post-reformation period that the perspicuity of Scripture was limited to issues pertaining to salvation (section 3766 of the Kindle edition). Prior to that, I gather that it was noted that the idea applies *especially* to matters of salvation, but not uniquely. My response above does not demonstrate that OECs do compromise the clarity of Scripture. But I do think it shows your response inadequate to rebut the charge. I think that definition is inadequate, because it does seem to be the case that while Scripture is clear on salvation issues, there are many side issues on which it is not so clear. Calvinism or not; end-times (rapture? ); the meaning of revelation; dispensationalism? ; etc. Someone who wants to define it that way is, it seems, not reflecting much on the debates within Christianity. So in other words, your reasoning goes like this: There is debate on issues x, y, and z. Therefore, x, y, and z must not be perspicuous. 1. It seems to me that your reply here undercuts your own position. There are just as many debates on “salvation issues” as on other issues. In fact, you list Calvinism, which deals with “salvation issues.” So in order to avoid the self-defeating nature of the claim you’d have to narrow it more than simply “salvation issues.” But then this all starts to look rather ad hoc. 2. In addition, it seems you would have to deal with the Scripture evidence itself, which, as Grudem points out, provides no justification for such a narrow understanding. Granted I have not presented that evidence here for time constraints, but you can reference Grudem’s cited material in my first post. 3. Those throughout church history who held the broader view of the doctrine always recognized that there are some parts hard to understand. They had various ways of dealing with this. For instance, Luther in part explained this as due to our own sin and not to the Scriptures being unperspicuous per se. The noetic effects of sin, as well as many other epistemic factors which may or may not be related to the noetic effects of sin, further weakens your response, for you cannot assume that debate over issue x, y, and z reflects something about the issues per se rather than something about the creatures debating the issue. Here’s the question, then: Are you suggesting that Genesis 1 is indeed easily understood as [insert your position] and why? I wasn’t intending to defend the original argument you raise and then try to rebut, only your rebuttal. Obviously we would need to hash out the issue of perspicuity, right? Do clear things present themselves as clear immediately or do we need some sort of argument for their clarity? If we need some sort of argument for their clarity does this automatically undercut the claim to clarity? I won’t be doing this right now, but I’ll think about it and may get back to you later. Furthermore, I don’t believe that JW is saying that Calvinism is not a soteriological issue (which is how your comment takes it), but it’s not a salvation issue. An individuals understanding of the doctrines of grace does not determine his salvation. What determines his salvation is whether or not he is regenerate and in Christ. “Soteriological issue” and “savlation issue” are not technical terms for different things. JW didn’t specify how he was using the term. He just said “salvation issue”. Calvinism is a “salvation issue.” Now if you want to *stipulate* that by salvation issue you or JW means “necessary to believe for salvation” then this still won’t get around my rebuttal. Some hyper-Calvinists do believe it is a salvation issue in this stipulated sense and there are other debates regarding salvation issues in this stipulated sense (e.g., faith + works). Yes, by all means, let’s take on those awful Christians that don’t feel the need to cram billions of years into a place that doesn’t even hint at it, just to try and be in sync with whatever the latest “so-called science” has come up with. As far as the specifics of the arguments made, they have been addressed, multiple times, on websites like Answers In Genesis and Creation Ministries International. But hey, if it makes you feel like you’ve accomplished something, knock yourself out. Someday (as in a normal 24 hour day) you’ll stand before the Lord and can explain why adding billions of years mattered to you so much. Try convincing the Lord that the plain reading of the text caused you to believe it meant billions of years, and that the pressure didn’t come from outside of the bible. Good luck with that. So does the text itself hint at billions of years? If so, where? Regarding the text itself. I have emphasized that when you ask the text “how old is the earth” you’re asking it the wrong questions. The point of the Genesis cosmology is to treat God as king of the universe, not to tell us how old the earth is. And notice that your response here is really a tu quoque fallacy. I’ve asked you to demonstrate the position that the earth is indeed ‘young’. Rather than responding, you’ve asked me to demonstrate that the universe is billions of years old based on the text. But I hold that the text is neutral regarding the age of the earth, and to therefore force it into one or the other is to do extreme damage to the text. The burden of proof is upon you to show that the text is speaking to the age of the universe and that it necessitates a young earth. Let’s see the evidence. Yes… it IS what the bible says, so simple even a child can understand it, but professing to be wise man makes a fool of himself worrying about trying to make the bible say what science says…. so sad… so very very sad. I don’t recall you asking me to demonstrate the earth is young, but maybe I haven’t read you carefully enough. In light of my not seeing you ask me to do this I’ll have to deny the tu quoque. If you have asked me to do this (or if you are just now asking me to do this) I’ll admit I can’t do this right now. Nevertheless, others have tried to do this and I’m sure you’re aware of them. Regarding the “wrong question”… well, I’ll have to come back to that later but right now I’ll say that if this is your response to “does the text even hint at billions of years?” then it only seems to concede that it does not because it is not about that issue. So then, the text does not even hint at billions of years. The text allows for billions of years, but it is not about the age of the universe. To force it into 21st century science questions does damage to the text. The text “allows” for billions of years? Fine. John 6:56 allows for cannibalism. Right? Our goal here when exegeting the text should not be to test its flexibility, but rather to handle it in a straight-forward manner, according to its context. The word “day” can have many meanings, but only until it’s given a context, then its semantic range is limited. If you’re concerned with people “doing damage to the text,” I would encourage you to avoid shifting definitions on so many terms in Genesis 1, thus destroying its message. It’s common for OEC to suggest “evening” and “morning” mean a span of time, and “day” is yet another span of time. But what meaning is there to be found in: “There was a span of time, and a span of time, the first span of time.” Does that really sound like what the text is communicating? is this how Jews have understood the text throughout their history? Is this how Christians in antiquity have understood it? Is this how Jesus understood it when he argued from Genesis time and time again in the NT? Evening and morning is used on ‘days’ before the sun is made. What do those words mean without the sun? Is the existence of light contingent upon the existence of the Sun? Absolutely not. So we have light, from day one, which provides an evening and a morning, and serves as the means by which a day was measured. This light appears to be replaced by the Sun later in the text. I’ve been out for the weekend. Sorry for the late response. Here’s my counter-question: is God limited to 24 hour days when that is only measured by the sun relative to the earth and we are told in the text that the sun didn’t mark days (as times) until the fourth day? Basically the argument you present here means that God limited himself to a 24 hour day on the first 3 days, merely so that his creative activity would line up with those who would read the text and think that without the sun, he should still limit himself to the times that weren’t marked until the fourth day. Show me in the text where it suggests such a thing. I don’t see anything in the text that says God limited his creative activity based upon a not-yet-conceived measurement of time. J.W. Wartick, I’m awaiting a response here. The Sun didn’t mark days until day four, but you’re ignoring the fact that days were already being marked from day one, and by the same means – evening and morning, light and darkness. The light on day one and the sun on day four are performing the same role. It’s like an employee who works the first 12 hours of the day, only to be replaced by another who works the second 12 hours of the day, yet both performed the same duties while on the clock. Correction, the times were marked prior to the fourth day: “3 And God said, “Let there be light,” and there was light. 4 And God saw that the light was good. And God separated the light from the darkness. 5 God called the light Day, and the darkness he called Night. And there was evening and there was morning, the first day.” See, God marked days by day and light, evening and morning. There was light (and hence a marker) from day 1. You’re engaged in a bit of affirming the consequent here. “Days are being measured,” I say. To which you respond “The sun measures days, ergo the sun must exist.” Therein lies your error – you’re assuming that if days are to be marked (by evening and morning), there must necessarily be a Sun. This assumes that the existence of energized photons are contingent upon the existence of our local Sun. If that’s the case, from whence does the light that God clothes himself in come from? 1. Evening literally means the period when the sun goes down. The Arabic and Ugaritic cognates refer to something going down and coming up. What is going down if there is no sun on the first few days? Furthermore, the word for morning literally means the coming of daylight. 2. Gen 1:3 doesn’t speak of the ontological creation of light. If Moses intended to say that he would have used similar phraseology to Gen 1:1. “And God created (bara’) the light,” or something similar. Instead, God simply says, “let the light be” or “let the light come.” The linguistic structure is similar to passages like Neh 8:3, where the same word just means morning. In Ex 10:23 an almost identical structure is used to describe how the Hebrews had daylight while there were three days of darkness in Egypt. Gen 44:3 also associates the term in this structure with morning. It seems to not be speaking about the ontological creation of light (which would most likely require the Hebrew verb bara’. Instead, linguistically, it just means “let it be morning,” or “let the daylight come.” Once again, this seems to presuppose a sun already in place for their to be morning, evening or have the daylight come. 3. Likewise, nothing in Day 4 speaks of ontological creation. The language is purposive, not creative, i.e. “Let the lights in the expanse of the heavens be to separate the day from the night.” It then says that their purpose is for signs and for seasons. Bibles will often make a note here to clarify that this isn’t talking about anything like our four seasons. The word “signs” refers to markers used either to commemorate something or miraculous events. The word for “seasons,” means “appointed times,” specifically in reference to assembling for worship festivals or commemorations. The language focuses on how the distinction of day/night will serve for setting apart festivals and commemorations (days and years are also regularly used for this reason). Thus, when we make it about ontological creation, we are missing what the text seems to be saying on its own. Since the sky and the land (and all that you see in between) were created (bara’) in the beginning, there is no reason to think there was no sun until the fourth day. Especially whenever you consider that Gen 1:16 doesn’t say that God created bara’ the two great lights on the fourth day, but that he made (‘asah) them. The Hebrew verb ‘asah refers to shaping or giving purpose and meaning to things with pre-existing sources. Thus, I can take clay and shape it into a vase. I give the clay a purpose through “making” it. Anyway, hopefully that will give you both some more to chew on in this discussion. All of this fits within Moses’s purpose of showing that originally the Garden was the “tabernacle” where God dwelt with man. It looks forward to the later texts describing the purpose of the tabernacle and then the temple. Thus, you see purpose in the week of “creation,” that aims toward this end. Do we say that there was millions of years before Jesus came to save this world from sin. There is the archalogical perspective as you cannot see the fossils as a prediluvan time period and therefore your understanding of the bible decreases. He also explains the subjects that are cells are programmed to die and how radiation affects our age which explains why the water canopy protected people from radiation and caused people to age after the flood or the deluge. Also science changes times with new research it was say 200,000 years along time ago it could be more than 13.6 billions or trillions of years maybe in the future with different calculations or monkey wrenches in peoples research as yet the discovery of many different things tends to prove the bible not demote it . If you have read science research papers on say fossils the ages change over time and so has the age of the big bang. You have to do so much dances with the text on genesis. The old earth creation view also struggles into the realm of archalogical point of view of the bible the minimalist and the maximalist point of view which tries to date things later than when the bible states them and tried to say Moses and exodus. I hate to say it but the discussion of dating systems is highly inaccurate here. If you want a Christian perspective which draws on all kinds of sources for this and other problems, see The Bible, Rocks, and Time. I highly recommend reading more than just the YEC literature. Right, the dating processes have aberrations. That does not undermine the whole process. Note that I said that they will have aberrations, not that the process is inaccurate. Further, at this point I sincerely doubt we’ll jump to trillions of years. I would also be hesitant to say that it is “secular science,” for that draws a false dichotomy between secular science and the science done by the religious which is historically inaccurate. Finally, my whole position is that the age of the universe is not argued in the text itself. What the Genesis text shows is that cosmic origins are due to God, who is king over creation. Why not as many other things have changed over time as space telescopes find out the universe is say bigger than expected or a monkeywrenchs in say different fields which has happened with fossils that have changed age over time and other things I always remember when the universe changed from millions to billions of years overnight in school. i. This looks like a straw-man. Every YEC I know of has made the observation that “yom” can have different meanings. Even the most hard-core YEC organization I can think of, Answers in Genesis, states up front whenever I’ve seen them discussing the issue that “yom” can have a variety of meanings (I can give quotes if you like, or you could just enter “yom” into the AIG search field on their website). Thus, YEC naturally have other arguments for why “yom” should be understood as a regular day in Genesis 1, since admitting that ‘yom’ can have different meanings will undercut simply appealing to ‘yom’, as you’ve tried to cast their argument. Now perhaps you will respond with something like “But my grandma Sue says ‘Day means day and that settles it!’ So see, YEC *DO* use this argument.” Well, maybe so. But no one really takes that sort of thing seriously and when you include this sort of low hanging fruit–that is absent from all published YEC literature I’m aware of–in your list of *COMMON* YEC arguments it looks like you’re just caricaturing your opponents. ii. You reason that so long as we use a meaning within the semantic range of the term we can can be said to be reading the text literally. I don’t think so. I think I could pick every word in John 3:16 and, with a good dictionary, come up with fringe meanings for every word in the verse to construct an absurd reading of the text. Would anyone really call that a literal reading? I doubt it. Sometimes (often?) we say that a reading is literal if it aligns with the authorial intent of the passage (or something along those lines). On that ground, you would first have to argue that the author intended for ‘yom’ to mean a long period of time before you could say it is a literal reading. Perhaps you can suggest some other understanding of what it means for someone to read a text “literally” and try to make your argument fit with that. But simply picking whatever is within the semantic range of the terms looks… absurd. Perhaps organized YECs do not make this faulty argument, but I have seen it time and again both in interactions online and in person. I came from a YEC background so I had many friends who used this same argument. As you said, it may be a caricature. But this is indeed a very common argument from the average YEC on the street. If the title of my post were “answering the more thoughtful YEC arguments” I would leave this one out. But it’s not. Okay, let’s go there. Again, I’m not trying to argue that the author intends for yom to mean “a long period of time”; what I am arguing is that the text is not intended to answer the 21st century question: how old is the universe? I’ve yet to see anyone try to dispute that. Instead, everyone is just asserting the text says its young and asks me to demonstrate it is old. But I think that’s forcing the text into a 21st century meaning that was not intended. I want an argument for why the text is about the age of the universe as opposed to what appears to be its intent: cosmic origins which portray the universe as God’s temple/kingdom and God as king over it. I’m going to try to use HTML here, but I’m not sure if it works in WordPress comments. Hopefully it does, if not you’re comments are tagged in what would be italics and my comments are those that follow. Perhaps organized YECs do not make this faulty argument, but I have seen it time and again both in interactions online and in person. The problem is there is no way to verify this. You say it is a *common* YEC argument, but we find it nowhere in YEC literature or media that I know of. I’ve argued both sides of the issue before and I’ve never seen it online or in person. And my experience aligns with what we would expect. We would expect YEC arguments on the street to look like YEC arguments you find from popular sources like AiG, yet neither AiG nor any other YEC source I’m aware of use this argument. Again, I’m not trying to argue that the author intends for yom to mean “a long period of time”; what I am arguing is that the text is not intended to answer the 21st century question: how old is the universe? …when you ask the text “how old is the earth” you’re asking it the wrong questions. The point of the Genesis cosmology is to treat God as king of the universe, not to tell us how old the earth is. So it sounds like you are committed to the position that the author does not intend to tell us whether the days were “ages” or regular days. But if this is the case, then a person can’t use your response (I certainly don’t see how you could use it) that day means “ages” and still claim to be reading the text “literally” (in the way the author intends), because the author didn’t have any intention regarding the time it took for God to create. Well, I’m doing the same thing. I’m not arguing against OEC specifically nor am I arguing in favor of YEC. Rather, I’m responding or answering your post. I tried to make this clear when I said “I’d like to respond to each of your points” and “My response above does not demonstrate that OECs do compromise the clarity of Scripture. But I do think it shows your response inadequate to rebut the charge” and “I wasn’t intending to defend the original argument you raise and then try to rebut, only your rebuttal” (all quotes from my first few posts). Yet you seem to want me to prove YEC. Why? This looks as unreasonable as if I were to demand you prove OEC. “the text is neutral regarding the age of the earth, and to therefore force it into one or the other is to do extreme damage to the text. The burden of proof is upon you to show that the text is speaking to the age of the universe and that it necessitates a young earth. But that looks like a non-sequitur to me. The genealogies of Jesus are to demonstrate his being the Messiah. We don’t therefore say that it’s unimportant whether he was actually descended from those persons or whether those persons are historical or make-believe. The point of judges is, at least in part, the demonstrate the need for a king. But that doesn’t give us reason to dismiss the events as non-historical. By this method, we could jettison the historical nature of the entire Bible simply by pointing out that it was written to communicate some truth. Thus, the fact that “the point of Genesis cosmology is to treat God as king of the universe” does absolutely nothing to support your claim that “the text is neutral regarding the age of the earth.” Rather, the text intends to tell us that God is king of the universe and it does this by describing how God created the universe in the space of six days. Does this prove YEC? No, but again that is not my intention. You set out to show that several YEC arguments (and maybe some caricatures of YEC arguments) are inadequate to the task. All I’m intending to do is show that your responses to YEC arguments are actually themselves inadequate to the task. While AiG doesn’t use this argument, they think it is used enough by YECs to address it. So it seems that this is a highly relevant argument, and a simple google search can yield a plethora of examples. I’ve shown you the argument in one of the most famous Creationist public materials, I’ve shown it to you on 2 prominent YEC sites, one using it, the other saying it should not be used, and I’ve shown it to you in related material on church organizations web sites. Thus, it is fairly common. My point there is that the text itself does not tell us one way or the other. Good point. My response is that we can look at the ANE context of the text and see that 7 day cosmologies are found throughout them, with the 7 days utilized to emphasize the completeness of the cosmic origins, not the time period. We’re reading 21st century problems onto a text not intended to answer those questions. I’d like to see an argument for the text being specifically about the age of the universe. IF that’s the question you want the text to answer, the burden of proof is indeed upon you to show that is the text’s intent or teaching. Finally, I must note that I’m starting to get the vibes I’ve gotten from others in the past with the level of inaccuracy. Please, at least do a google fact-check before you make claims. In order to find published claims in YEC literature on this argument, it took me about 20 seconds. Yet you claimed, “The problem is there is no way to verify this. You say it is a *common* YEC argument, but we find it nowhere in YEC literature or media that I know of. I’ve argued both sides of the issue before and I’ve never seen it online or in person.” A simple search would have solved the problem pretty quickly. While the arguments may not be stated in the exact form of my own post, the arguments themselves are clearly in the category of “appearance of age.” So please, before your comment, fact check. You responded to my remarks on the meaning of day with links to YEC sources on the appearance of age. These are two different things, as I’m sure you realize. But somehow you’ve gotten the subject of our conversation confused, though I’m not sure how. So unfortunately most of your response here is simply off topic of what we were discussing, since showing that YEC commonly appeal to appearance of age doesn’t show that YEC commonly say “day means day” without noting that it has a variety of meanings. I will eventually get to the appearance of age argument. I will defend the appearance of age against the charge of making God a liar and I will argue that certain OEC positions (including one you see to be advocating) actually open themselves up to this charge. But I’m not responding to that point yet and, as I said, I will take your points one at a time. My response is that we can look at the ANE context of the text and see that 7 day cosmologies are found throughout them, with the 7 days utilized to emphasize the completeness of the cosmic origins, not the time period. Again, this doesn’t seem to do anything to build a case that Genesis 1 (or other ANE cosmologies) are not intending to be historical or actual in their chronologies. It looks like another non-sequitur. How do you know, for instance, that the figure of 7 didn’t acquire its symbolic significance precisely because it is historically grounded in the creation event? So far as I can see, no argument can be given from 7 having symbolic significance or being present in ANE cosmologies to the conclusion that, therefore, creation must not have really occurred in 7 days. In fact, explaining how the number 7 would acquire significance fits better with the view that it acquired this from the historical creation event. the 7 days utilized to emphasize the completeness of the cosmic origins, not the time period. As someone else has pointed out (Young? ), if the authors of said cosmologies are not intending to say anything about the time or chronology of the events, structuring their narrative with chronology and time-markers is a very odd way to go about not saying anything about time or chronology. We’re reading 21st century problems onto a text not intended to answer those questions. I realize that you believe we are reading 21st century problems onto a text… but so far that’s just your assertion. Any reason you’ve given for supposing this to be the case (the narrative isn’t “about that” or 7 is significant) just won’t carry the weight for you. Now I’m not demanding that you give us such an argument, because you’ve said on more than one occasion that you’re simply responding to YEC arguments, but I just want to make clear that your premising your remarks here on a claim I don’t buy and you haven’t substantiated. I’d like to see an argument for the text being specifically about the age of the universe. IF that’s the question you want the text to answer, the burden of proof is indeed upon you to show that is the text’s intent or teaching. You ask for an argument that the text is “specifically about the age of the universe.” But as I already pointed out: that’s irrelevant. It doesn’t need to be about the age of the universe in order for it to tell us about the age of the universe. I don’t shoulder any burden of proof to show the text is specifically about that since I don’t need for the text to be specifically about that in order for the text to still tell us something about the age of the universe. Your final paragraph only builds upon your confusion about the topic we were addressing. Reading through and there is certainly a lot of information you present. That could lead to much discussion. In this comment I am only going to focus on one area under “appearance of age” and ask for a clarification of what you are stating. I am not sure I understand what you mean regarding Adam’s age and what the evidence would tell us. If you mean the text does not say whether Adam was created as a 20 or 30 something (or choose any age you want) then you are right. But the text does say (assuming we are agreeing that Adam was a literal person created from dust) that Adam was created as a functioning adult and not a newborn infant. So he would “look” like a 30 year old (or whatever adult age you want to imagine) and generally act like one too (intelligence, speech, farming, marriage to Eve, etc) but in actuality only be a day old when he was created. Are you suggesting that an examination of his teeth and bones on the completion of day 1 would indicate an age of 30 years or an age of 1 day? I’ve carved out the time to respond to several of your points at once, (otherwise I’d be draggin this out over the course of 16 days). Due to the length of the posts I’ve published my response (and will publish the further responses) on my blog. Thank you very much for your thoughtful responses. I’m glad that we have been able to have such a friendly conversation about this topic without name-calling or [hopefully!] ill-feelings. Likewise, I appreciate the spirit in which you constructed your side of the conversation. It’s good that Christians can try to help each other avoid weak or bad arguments, sharpening our apologetic. And this really undermines everything for the OEC position. How? Because if we had no notion that the earth or universe was supposedly very, very old, there would never be the first idea that Genesis 1 was not speaking of literal days. Can you honestly say that you would have suspected such a thing without first having some idea that the earth was supposedly old? I doubt that enough to go ahead and rebut it before hearing your reply. The fact is, according to your own reasoning, God would not make something to appear what it is not. But that is in fact just what He has done if we have to forego the natural inclination to understand the creation account to refer to six literal days. God left the door wide open, nay, one could go as far as to say encouraged believers in His Word, to believe something that wasn’t true. So, we must either give up our notion of the age of the universe in God’s “book of nature”, or give up our notion of the age of the universe in God’s Word — the Word that He was actively and directly attempting to communicate His truth to us by. It would seem to me that God was somewhat a failure if He couldn’t communicate more clearly in Genesis 1. I’ll just add that the OEC position has a defeater of major proportions, namely that it still holds to C, or Creation. We are undeniably speaking miracle here. And since we are speaking miracle, why is it necessary to hold God’s feet as close to the naturalism/uniformitarianism fire as possible? What, in principal, is wrong with the notion that creation happened over six literal days less than ten thousand years ago? At bottom, we are telling God we will only believe Him after we do our own investigating. But in some contexts even this is OK. After all, we should be Bereans. What is a little mystifying is that on the issue of OEC, it seems we are simply judging God’s word for a mess of pottage. What has the YEC to gain from sticking to a literal six day creation? Little, it seems. On the other hand, the OEC can avoid a whole lot of eye-rolls and be taken into the scientific community with a modicum of respectability. Again, like others, you’re reading the text through a 21st century lens. You are reading onto the text the age of the universe. Pardon me!? I say you are reading through a 21st century lens. That, in fact, is demonstrable. Or, are you saying that it hasn’t only been within the last couple hundred years that Bible believers have been trying to understand how to reconcile Genesis 1 with a very old universe? That people, prior to that, unanimously understood the Bible to teach a literal, six day, 24 hour creation? You addressed nothing in my post. I’m reading the text how it naturally reads. I didn’t specifically address why I think the universe to be around 6,000 years old. I believe it because the arguments I’ve heard in favor of that position seem reasonable (the OEC position would be required to accept them as reasonable as well, otherwise there would be no need for this discussion). What is clear from an unbiased reading of the text in every single major Bible translation today is that the creation took place over six 24 hour days. 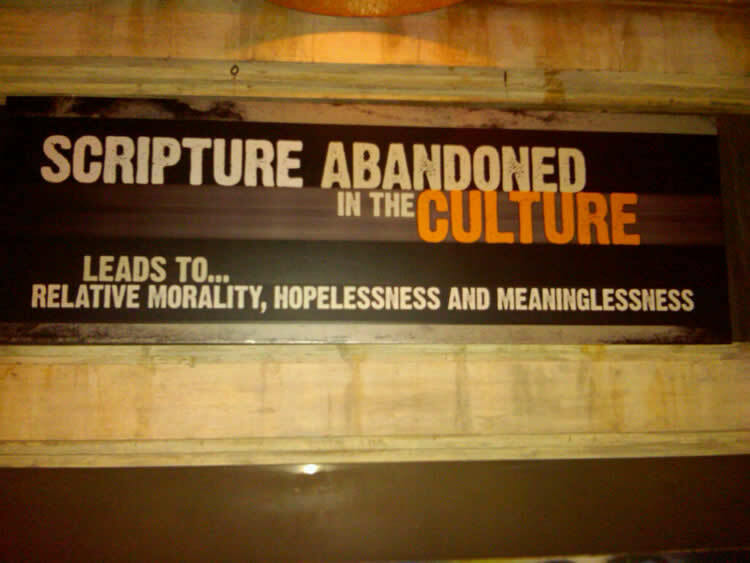 To say that the “text” plainly says otherwise is to say that it has been mangled by Bible translators for forever. At any rate, would you please respond to my original points? Does Genesis 1 tell us on what date the earth, much less the universe, was created? Sorry, Bishop Ussher, but, no, it doesn’t. However, that does seem to be the only cosmological question it doesn’t answer. What it does answer though, are some very good questions. Is the universe eternal? Nope, it had a definite beginning. Thank you science (with kudos to Dr. Hubble) for catching up to speed on this one. Is the universe self-created? Nope, it had a Creator, namely, the one and only God. Not Vishnu, or some cosmic egg, and certainly not a product of its own design. Do I care on what date God created the heavens and the earth? Not in the least, I’m just glad he did. Is it possible for YEC’s and OEC’s to be irenic toward each other, rather than polemical? That may be a harder question to answer than the age of the earth. J.W., you maybe interested in a recent lecture from Dr. Joseph Pipa titled What the Rest of the Bible Says About Creation. What are your thoughts on this passage? It seems that it is relating our “normal” week (which is seven 24-hour days) to the creation week. Why not look at both of them to determine what is meant? The latter passage is clearly an anthropomorphism, and makes a figurative interpretation of Genesis very reasonable. Exodus 20:8-11 is not conclusive — the word used for rest there can mean either only “cease” or “cease and get one’s energy back”. The former would indicate that Genesis should be taken literally, the latter would open the door to figurative. Given Ex. 31:17, it would seem that the latter is the correct interpretation, but the “cease” interpretation is generally used, and Ex 31:17 is ignored. So my question is: What is your interpretation of Ex 31:17, and why don’t you use both verses to give perspective on Genesis? It’s really stretching it to suggest that because being refreshed is anthropomorphic that everything else in the passage must be too or opens the door to a figurative interpretation. Do you apply that hermeneutic consistently to the many other anthropomorphic passages in Scripture? I doubt it and to do so would be silly. God being refreshed is anthropomorphic. But you’d have to be pretty desperate to use that as a basis for treating other elements in the passage as the grounds for a figurative interpretation. 12 Then the LORD said to Moses, 13 “Say to the Israelites, ‘You must observe my Sabbaths. This will be a sign between me and you for the generations to come, so you may know that I am the LORD, who makes you holy. 14 ” ‘Observe the Sabbath, because it is holy to you. Anyone who desecrates it must be put to death; whoever does any work on that day must be cut off from his people. 15 For six days, work is to be done, but the seventh day is a Sabbath of rest, holy to the LORD. Whoever does any work on the Sabbath day must be put to death. 16 The Israelites are to observe the Sabbath, celebrating it for the generations to come as a lasting covenant. 17 It will be a sign between me and the Israelites forever, for in six days the LORD made the heavens and the earth, and on the seventh day he abstained from work and rested.’ ” 18 When the LORD finished speaking to Moses on Mount Sinai, he gave him the two tablets of the Testimony, the tablets of stone inscribed by the finger of God. Again, in verse 15 He is referring to our work week, then using the same words in verse 17, He is talking about the time when He made the heavens and the earth. So, I don’t think that having read this new passage from Exodus 31 it changes my original question – that still remains. Janitor, most other anthropomorphic passages are describing something about God directly, not reinterpreting another passage. So I would not apply the same reasoning in those cases. It’s important to keep the context in mind: the initial Genesis passages are describing something that, because there was no human witness, must have been revealed prophetically. That does open the door to a figurative interpretation, since all other prophetically revelations of grand events are figurative (see esp Numbers 12:6-8). So when another passage references the revelation and interprets it figuratively, it’s reasonable to consider that possibility for the rest of the revelation. To ignore that special aspect of the creation account and simply insist on a desired interpretation is eisegesis. I agree that context is important, which is why I believe the revelatory nature of the creation narrative has to be taken into account (see above). While that doesn’t prove anything on its own, ignoring it entirely is a mistake. >>most other anthropomorphic passages are describing something about God directly, not reinterpreting another passage. Exodus 20 or 31 is not *reinterpreting* anything. They simply refer back to an earlier event. >>It’s important to keep the context in mind: the initial Genesis passages are describing something that, because there was no human witness, must have been revealed prophetically. I’m not sure what you mean by “must have been revealed prophetically” or why you think the fact that a human didn’t witness the event means it is somehow special. I don’t agree that every other “prophetic revelations of grand events” are figurative. In fact, this looks like an ad hoc category you’ve constructed with a sweeping claim. Can you back it up? Actually, if that’s the route you want to go, Numbers 12:6-8 undercuts your argument. God says he speaks with Moses “mouth to mouth, clearly, and not in riddles,”. Who did God reveal the creation event to? Moses. Ergo, even if you want to give some ad hoc special hermeneutic to “prophetic revelation of grand events” God says his revelation to Moses was clear and not in riddles. >>So when another passage references the revelation and interprets it figuratively, it’s reasonable to consider that possibility for the rest of the revelation. You haven’t established the reasonability of the principle you’re trying to push. You’re also stating the case inaccurately in way that attempts to favor your ad hoc principle. What passage interprets “the revelation” figuratively? So far you haven’t established any. Exodus 31:17 only gives us a reason to think the word “refreshed” is being used figuratively. So what you’re trying to say is that if any element in an event is figurative this makes it reasonable to treat not only everything else in the event figuratively but all other records of the event figuratively as well. Seriously? Please give me an argument for that hermeneutic and don’t just assert it. >>To ignore that special aspect of the creation account and simply insist on a desired interpretation is eisegesis. On the contrary, you seem to be the one who’s not arguing in good faith here. You’ve come up with ad hoc reasons to try and say there is something special about the creation account that gives us grounds for treating it figuratively. What are those reasons: (1) That an event wasn’t witnessed by a human? How in the world does that have a bearing on our interpretation of a passage? (2) That you assert, but don’t argue, that every other grand event not witnessed by a human is figurative? Sorry, but you still need an argument specific to this case too. (3) That you assert, but don’t argue, that if one element in an event is figurative that this opens the door to treating everything figuratively? I asked you if this is how you treat every other figurative element in the Bible. In reply, apparently, you want to prop up this point by jumbling it with other points. As though throwing three ungrounded points together somehow grounds them. But you haven’t shown how the “revelatory nature” of the creation event is significant for a figurative reading of the event. All of Scripture is revelatory. Is that significant for a figurative re-reading of all of Scripture? There are some arguments for a non-YEC reading of the text that I find reasonable, though not entirely compelling. But there are many that cause me to think the persons making the argument aren’t being honest, either with themselves or with their audience. Maybe they are self-deceived in these cases. But I think it would go a long way in (1) fostering less animus and (2) making their case seem reasonable if such persons would rather admit they don’t have answers for every passage, but they still think they have compelling reasons for their reading in arguments ‘x’, ‘y’, and ‘z’. In the past I’ve admitted this myself with respect to the YEC reading when it comes to the 7th day argument for OEC and in many scientific cases. Since then, I’ve heard a reasonable YEC response to the 7th day argument. But many scientific arguments still seem to me to favor OEC. Now maybe there is a great non-YEC response to the Exodus passage in question. I’m open to hearing one, truly. For instance, I think Grudem gives a good reading of Genesis 1:16 that allows this passage to not be a problem passage for OEC. I’m not a Ken Ham YEC that thinks the integrity of Scripture rests upon a YEC reading of Genesis. I have no emotional, intellectual, or moral investment in this issue beyond the bad faith arguments of those involved. >>Exodus 20 or 31 is not *reinterpreting* anything. They simply refer back to an earlier event. The description of God’s rest in Genesis and Exodus 20:11, leave open several possibilities for interpretation: that He simply ceased His creative activity, or that He rested and got His energy back. Exodus 31:17 makes it clear which was going on. So perhaps “reinterpretation” was not the best word choice. The point, however, is that Exodus 31:17 is referring to another passage. In that reference, it asserts an interpretation that cannot be literal: the anthropomorphic picture of God being refreshed. >>I’m not sure what you mean by “must have been revealed prophetically” or why you think the fact that a human didn’t witness the event means it is somehow special. Most of Scripture contains human elements such as personal observations, etc, although of course, the development and understanding were shepherded by the Holy Spirit. However, because it could not have been witnessed, the creation narrative had to have been revealed prophetically. There are few other instances in Scripture that could have had no human input. Most of them are predictions of future events — passages into which no human could have input. My assertion is that the creation account should be considered as a prophetic passage because God was the only source. It is a narrative that could have had no human input. A spiritual reason this distinction is significant, and not ad-hoc, is how it relates to the concept of personal witness. Throughout Scripture, the people of God are called to proclaim Him, especially from personal experiences of Him. (I’m stating this without support because I believe it to be clear in Scripture. If you like, I can provide a variety of Scriptural support.) Jesus’ statement in Acts 1:8 was not a new idea, but an ancient, foundational one that found new expression in the Resurrection. From this standpoint, those passages of Scripture that are given directly from God, those passages that cannot result from human witness, fall into a different category than human-sourced narrative. Perhaps this is a key difference in our viewpoints, and where we have to agree to disagree. Although I pay attention to cultural background, authorial intent, include context in understanding a passage, and other similar hermeneutic elements, my personal perspective also emphasizes spiritual principles perhaps more than is common. As a result, the implication of witness (or lack thereof) is as potentially significant to me as a secular element like literary style. >>I don’t agree that every other “prophetic revelations of grand events” are figurative. In fact, this looks like an ad hoc category you’ve constructed with a sweeping claim. Can you back it up? Building on my discussion above, that the creation narrative is an example of prophetic revelation, then I was comparing it to other similar examples. In this case, the similar cases would be examples of historical narrative that had been prophetically revealed, such as Daniel’s historical prophecies, Ezekiel’s, Revelation, etc. They are highly figurative. So my assertion was that, since prophetically revealed narratives of such sweeping narratives are highly figurative in the rest of Scripture, then it would be most consistent to consider the creation narrative in the same way. >>Actually, if that’s the route you want to go, Numbers 12:6-8 undercuts your argument. God says he speaks with Moses “mouth to mouth, clearly, and not in riddles,”. Who did God reveal the creation event to? Moses. Ergo, even if you want to give some ad hoc special hermeneutic to “prophetic revelation of grand events” God says his revelation to Moses was clear and not in riddles. Good point, my assertion that a prophetic revelation implies figurative nature, is more biased towards non-Mosaic prophetic revelation. Although most accept Mosaic authorship, that’s not the same thing as saying it was revealed to Moses, any more than insisting that the other historical elements in Genesis had to have been revealed directly to Moses rather than having an element of human transmission. We simply don’t know for sure. So if the prophetic revelation described above was to anyone else, then I would use the same argument. But of course, it’s very likely that the creation narrative was revealed directly to Moses, and so we should consider that. If one insists on treating the narrative as no different than those provided from human witness, then you’re right. However, as I’ve stated, I would treat it as a different case. In fact, creation narratives were common elements in religious frameworks at that time, similar to temples, formal practices, etc. So I would place it in that category, but recognize that Moses was directed by God in these areas. So then, compare it to other similar elements, such as the tabernacle and the Law. Both of those are highly schematic representations of spiritual reality. God did not literally dwell in the tabernacle, but rather it was a place of special manifestation that also reflected elements of His spiritual existence, and served as a rich model for future theological discussions. Similarly, the Law was not the means by which individuals are saved, but rather the shadow of Christ’s work that truly provided salvation. God does not live in a tent either on Earth or in Heaven, the Law does not truly save, and creation did not take exactly six days. Treating that narrative as a schematic representation of spiritual truths is consistent in this manner, and makes it more substantial than mere historical narrative. Sure, perhaps I overstated the importance of Exodus 31:17. I’m really trying to understand the significance of it’s figurative elements to the creation narrative. You’re right, of course, the fact that the creation account contains one figurative element does not prove that the rest of it is figurative. My assertion of eisegesis was not an accusation of bad faith arguing, I apologize if it came across as a personal accusation. >>But you haven’t shown how the “revelatory nature” of the creation event is significant for a figurative reading of the event. All of Scripture is revelatory. Is that significant for a figurative re-reading of all of Scripture? Hopefully the explanation above made this more clear. Pointing out that a word or phrase can be translated in two different ways is not an adequate justification for selecting any translation, per se. For instance, the word “world” in John 3:16 can be translated “adornment”. So have I proven that a translation of John 3:16 which reads “For God so loved the adornment…” is just as equally valid as “For God so loved the world…”? Hardly. Every word has a semantic domain and if this is how you want to make your case, you will wreak havoc on all of Scripture if they apply their logic consistently. Furthermore, the fact that b-reishit can be, from a purely linguistic standpoint, translated eitherway is not a point of dispute between the various creationist positions, just like the fact that “yom” can be understood in various ways is not a point of dispute between YEC and OEC. Other arguments are used to support those readings. Besides, even some OEC offer exegetical arguments for “b-reishit” being understood in the traditional sense. “A few commentators, both ancient and modern, render the first clause as ‘when God began to create’. This is a translation that is linguistically possible. However, it alters the meaning of the text significantly. Note what happens: ‘When God began to create the heavens and the earth, the earth was without form and void …’ This translation suggests that when God began his creative activity, he started with a pre-existent material. In other words, the physical base of the earth already existed, but it was merely without form and it was empty. On the other hand, the traditional rendering, ‘In the beginning …’, is an absolute clause which testifies that there was no physical element prior to God’s creation; that is to say, God created the universe ex nihilo (Latin for ‘out of nothing’). 1. Nothing in the text mentions pre-existent matter. 2. The construction, ‘In the beginning’ is found in every ancient translation without exception. 3. ‘When God began to create’ is a linguistically possible translation, but it does not reflect or represent common Hebrew usage. 4. The verb ‘to create’ (Hebrew bārā’) confirms the absolute sense of verse 1. Currid, J. D.. A Study Commentary on Genesis: Genesis 1:1–25:18 (Vol. 1, pp. 58–59). Remington, you are right in stating that “Every word has a semantic domain and if this is how you want to make your case, you will wreak havoc on all of Scripture if they apply their logic consistently”. Nevertheless, we need to keep in mind that in the entire Bible, only the word, or rather the phrase, ”b’reshit” has been semantically disputed [taking into consideration the grammatical nuances] both by the Jewish and Christian theologians and or scholars; and, accordingly, Genesis 1:1 is acknowledged to be the most difficult verse in the entire Bible to be translated. Space here doesn’t permit me to quote or even to simply enumerate all these theologians or scholars. Anyway, it should be objectively noted that the original unaccented Hebrew word ”b’reshit” can be accented both as an absolute or as a construct; therefore, it can be convincingly translated as an ”absolute” as well as a ”construct”. This should logically lead us to conclude that Genesis 1:1 can be translated equally as an independent creation or as a dependent re-creation. We have today both types of translations in spite of the fact that the original Hebrew unaccented ”b’reshit” has been accented by the Masoretes only as a ”construct”. And, accordingly, B’reshit which is accented as a ”construct” by the Masoretes, necessitates that Genesis 1:1 be translated as “When God began to create…” as is thus translated, of late.Yet, in spite of the fact that the accented b’reshit is in the construct state, it has been and is translated in the absolute as well and that for theological reasons. This is rather strange, seeing that violence is somehow done to the Masoretic text in translating it in the absolute! My point is: seeing that the original inspired Biblical Hebrew was unaccented, it is left open to us to mark b’reshit with accents or vowels both as a construct or as an absolute. Which means, the original unaccented ”b’reshit” in Genesis 1:1 should be first accented as an ”absolute” and, therefore, Genesis 1:1 next be theologically and grammatically translated as: ”In the beginning God created the heavens and earth”. Period. End of the story. Next, Genesis 1:2 cannot be a work of original perfet creation for several reasons. Undoubtedly, it is an outcome of judgment, whether one agrees with me or not. The Bible is very clear about it, notwithstanding our creation bias or prejudice. Subsequently, Genesis 1:3-31 is an account of a later restorative work, again for several biblically-based relevant reasons. Space here, again, doesn’t permit me to elaborate on the same. If time permits you, kindly visit:> http://christianreading.com/jmartins/ and feedback. Thanks! I disagree that Genesis 1:1 is acknowledged to be the most difficult verse in the entire Bible to translate. Or that this is the only word disputed by both Jewish and Christian scholars. I’ve heard people claim that 1 Sam 13:1, 1 Peter 3:20, Song of Solomon 6:12, etc. I’ve never heard anyone claim Genesis 1:1 is the most difficult. I checked several commentaries from several different perspectives (Waltke, Walton, Collins, Currid, Lange, Sarna, and Mathews) and none of them mentioned the verse as being the most difficult in the Bible and the majority of them claim that the traditional reading has the best arguments in its favor. Waltke and Walton both go with a traditional translation as the preferable one, but view the statement as a summary. Sarna is the only one who renders it “When…” and both of the arguments used to support that translation are answered by the other commentators. You do mention the word being unaccented, which I do not follow. Walton mentions that “research has shown that time designations in adverbial expressions do not require the definite article” and references G. Hasel’s article in The Bible Translator (which interestingly enough seems to think the evidence does not support vs 1 as a summary, contra Walton). Anyway, you seem to be promoting gap theory (or something like it). I took a look at your webpage. Five spinning Stars of David are a little off-putting. Remington, I am not an expert in Biblical Hebrew but am just a lay Christian with no theological laurels to my credit; so, I depend on what Biblical Hebrew Scholars and Theologians have to state about Genesis 1:1. Of course, I do prayerfully depend on the Holy Spirit’s gift of discernment to help me arrive at a proper understanding and draw my conclusions. Now, when the Scholars differ, what am I supposed to do? And, the scholars do differ significantly.To a large extent, the difference in opinions betrays one’s peculiar denominational biased thinking. So, am wary. I am reminded of the Dark Middle Ages as some among us vociferously want to hang on to traditional thinking no matter how deeply it contradicts the plain biblical teaching. You’ve stated that you disagree that “Genesis 1:1 is acknowledged to be the most difficult verse in the entire Bible to translate. Or that this (B’reshit) is the only word disputed by both Jewish and Christian scholars”. I’ve concluded as such after seeing that both Hebrew and Christian scholars stating as such. Undoubtedly, as acknowledged by Robert Holmstedt, “Genesis 1.1 is one of the most discussed verses in the Hebrew Bible….You would think that one could get further than one word into the Hebrew Bible without a grammatical problem”(Genesis 1.1-3, Hebrew Grammar, and Translation, November 11, 2011; https://ancienthebrewgrammar.wordpress.com/ 2011/11/11/ genesis-1-hebrew-grammar-translation/). Next, I am told, “The precise meaning of ‘bereshit bara elohim et hashamayim v’et ha-aretz’ has long been debated among commentators and scholars [http://www.metatronics.net /spirit/bereshit.htm]. And, the Institute for Biblical and Scientific Studies states that the “The opening verse of Genesis is still a puzzle” [http://www.bibleandscience.com/bible/books/genesis/genesis1.htm]. No wonder, M. W. J. Phelan states “The interpretation of Genesis 1:1-2 has taxed the minds of exegetes for many years”. And, you can be sure that even now it continues to tax the minds of the exegetes and translators …. Now, concerning the translation of Genesis 1:1, 2, qualified translators tell us: “Although almost everyone is familiar with it (Genesis 1:1, 2) and thinks that they understand it, we have found that the first few verses in the Bible to be very deep and difficult to translate correctly. In fact, we are constantly making revisions as we learn more about the ancient uses of the words [http://www.2001translation.com/translating.htm]. Next, Hebrew Professor Ziony Zevit poignantly states that “The opening sentence of Genesis is surprisingly difficult to translate, and many translations misunderstand it [http://thetorah.com/ask-a-bible-scholar/]. So, what should I do? To add to my pain, I am told that “Translation renders the opening verses of Genesis 1 deceptively clear and straightforward. This passage, however, contains a number of words and phrases that are used rarely, if at all, in other parts of the Hebrew Bible, making them more difficult to define with the kind of precision that we might like. Translations smooth out the rough edges of this ancient text, implying a level of understanding that we can’t quite claim. (Karla Suomala, Commentary on Genesis 1:1–2:4a (https://www.workingpreacher.org/preaching.aspx?commentary_id=1807). Finally, “— bereshit is more than a distant big bang, and more than a distant act of speech. It is also a continuing presence and a promising end” [http://meafar.blogspot.in/2014/05/bereshit-in-beginning-of.html]. So, “How do we understand, then, the first three words of the Hebrew Bible? Why does the Bible begin with a phrase that is such an untranslatable, ungrammatical mess? Obviously, it is not just a “mistake.” The unusual grammar of the first word of the Bible must have some intentional significance” [http://www.rebjeff.com/ blog/bereshit-in-the-beginning-of-what]. And thus the debate continues, for good, I presume! Conclusively, “The first verse of the Bible is so dear to every believer that it can be recited from memory by almost all. “In the beginning God created the heavens and the earth.” This simple rendition of the Hebrew tells us about the beginning of all things by the creative act of Almighty God. But what appears so simple on the surface often hides a complexity of difficulties underneath. Such is no exception in the case of Genesis 1:1. A comparison of several translations, or alternate translations in the margins of some Bibles, will reveal a disagreement hotly debated in scholarly circles” (https://apologeticspress.org/apcontent.aspx?category=11&article=1144). Am I promoting the “Gap Theory”? No, not exactly; but I’ve stubbornly gone beyond that; am confidently promoting “Biblical Gap Theology”. If time permits, do visit:> http://christianreading.com/jmartins/files/2012/03/Biblical-Gap-Theology.pdf, and feedback. By the way, God making it possible, am now planning to get my next book titled “Pre-Historical Pre-Adamic Biblical Theology” soon published. Thanks! Yes, but if we make our pool of scholars large enough, we can find the same varied opinions on most verses in the Bible. But this is not our usual method, at least it is not our stopping point for deciding the meaning of a passage. For instance, one does not take a liberal commentary from the Anchor series and compare some passage in that with what a conservative might say in NICOT and then conclude that the passage is hopelessly difficult due to the wide variance in interpretation. One must also read the arguments given in support of their reading. For instance, Sarna provides two reason for his translation of Genesis 1:1… but it’s not hard to find answers to those arguments (and Sarna himself admits the absolute clause is a valid rendering). Best of luck to you in your studies. Remington, thanks for your inputs; am motivated to think and rethink, and grow in understanding! At the moment my focus is to come to a proper understanding of the original inspired unaccented בראשית. The Masoretes by adding underneath the ”bet” the vowel or accent ‘shiva’ changed it into a construct בְּרֵאשִׁית. Accordingly, the recent alternative translations of Genesis 1:1 depicting it as a relative dependent clause. If thus translated, we can presume that Genesis 1 is an account of a recent creation (creation materia). Accordingly, “Nahum Sarna’s recent controversial translation, adopted by the Jewish Publication Society,: “When God began to create heaven and earth….,”) makes a lot of biblical sense along with similar translations by others. However, by adding the vowel qamatz underneath ‘bet’, we get the absolute בָּרֵאשִׁית; and thus Genesis 1:1 stands as a creation account of an independent absolute distant creation (creation ex-nihilo) in the eternity past. Only on this basis, could Sarna himself “admit the absolute clause as a valid rendering” I presume, in addition to keeping in mind the theological reasons for the same). Subsequently, we can conclude that what follows Genesis 1:1, is an account of the dependent creation materia (Genesis 1:3-31), beginning with the creation/appearance of light on the first day. Accordingly, we have two beginnings; i. e. 1) Genesis 1:1 in the eternity past and 2) Genesis 1:3-31 in the realm of time. This is next corroborated by Genesis 2:4a, relating to the [two] ‘generations’ of heavens and earth. It’s time we accept both the absolute and the construct states of b’reshit and subscribe to the two categories of translations as equally relevant; and or that, Genesis 1, in fact, covers both the creation ex-nihilo (Genesis 1:1 of heavens and earth that were of old, cp. 2 Peter 3:5b) and the creation materia (Genesis 1:3-31, the creation of heavens as in Gen. 1:8 and of the earth as in Gen. 1:10 that are now, cp. 2 Peter 3:7 and spoken of in Exodus 20:11). As such, biblical-ly speaking, the heavens and earth in Exodus 20:11 should actually refer to the heavens and earth made during the six days i. e. the heavens on the 2nd day and the earth on the 3rd day. In no way, these refer to the primeval heavens and earth of Genesis 1:1 as is wrongly assumed by the Traditional and the recent Young Earth Creationists. Finally, notwithstanding the prevailing beliefs or assumptions, Genesis 1:2 cannot be a work of direct original perfect creation in Genesis 1:1. Hence, we can confidently conclude and firmly believe with biblical support in the existence of pre-historical pre-Adamic life on the primeval earth in Genesis 1:1 (cp. Proverbs 8:22-31) as having theological relevance and implications. Unless, of course, we allow our bias to block us from believing as such!